Honors awarded at graduation to superior students are designated on the diploma as Honors, High Honors, or Highest Honors. Students receive the designation Honors if they have a cumulative University of Illinois grade-point average of at least 3.5 at graduation (A = 4.0). Students receive the designation High Honors if they have at least a 3.8 grade-point average at graduation (A = 4.0). Highest Honors may be awarded to any student with at least a 3.8 grade-point average at graduation (A= 4.0). In addition, the student must have demonstrated outstanding performance in supplementary activities of an academic and/or professional nature. The James Scholar honors program is a College of Engineering program that provides a good student the opportunity to develop a more challenging academic program and to work closely with a member of the faculty on a course of independent study. To be eligible to participate in this program, a student must maintain a cumulative GPA of at least 3.3 through their sophomore, junior and senior years. The James Scholar program has two phases, described below. Phase I (Freshman James Scholar Program) involves freshmen and sophomores. Students who are admitted to the College of Engineering as freshman are eligible to participate in the Freshman James Scholars program. Freshman James Scholars are allowed to register early and are required to take one honors course per year. Such sections are designated in the class schedule with an "H" at the end of the section designation. Phase II (Upper-class James Scholar Program) involves juniors and seniors who achieve a minimum cumulative GPA of 3.3. After development and approval at the department level, honors contracts will be submitted to the Associate Dean for Undergraduate Programs at the College of Engineering for final approval. In addition to listing a set of academic activities designed to satisfy the requirements of the Upper-class James Scholar Program, honors contracts will state the overall purpose of the student's proposed honors program and describe the manner in which the planned activities support the purpose. Application for admission is available in 206 Engineering Hall and will be accepted the first two weeks of each semester and during the summer. Invitation to the annual Engineering Honors Conference at Allerton Park and other special honors activities. The most common question from students is "What constitutes a valid honors contract?" This question is answered at the College of Engineering website for the James Scholar Program. The Campus Honors Program (CHP) offers special challenges and opportunities to a small number of academically talented and highly motivated undergraduate students. It fosters collaborative relationships between students and distinguished faculty through small intensive classes, a faculty mentor system for introducing students to the intellectual standards and methodologies of academic disciplines, and informal contacts encouraged by cocurricular offerings. CHP sponsors four series of noncredit cocurricular events: a "Scholar Adventurers" lecture series on faculty research; a "Study Abroad at Home" series of seminar-workshops centering on other cultures; a series of dress-rehearsal visits at Krannert Center for the Performing Arts; and an "International Tasting Club" lunch series. The aim is to encourage breadth and excellence from the outset of the student's college career, and to facilitate interaction with scholars at the cutting edge of their disciplines. Only approximately 125 new students can be admitted to the CHP each year as first-year students. A few additional students, however, may join the program on an off-cycle basis at the beginning of the sophomore year. Designated as "Chancellor's Scholars," CHP students may be enrolled in any undergraduate curriculum. Those who meet retention requirements continue as Chancellor's Scholars throughout their undergraduate career. The Bronze Tablet is a recognition of continuous high academic achievement. The student's name is inscribed on the Bronze Tablet, which hangs on a wall in the Main Library Building. To qualify, undergraduate students must have at least a 3.5 (A= 4.0) cumulative grade-point average for all work taken at the university through the academic term prior to their graduation, and rank, on the basis of that average, in the top 3 percent of the students in their college graduating class. 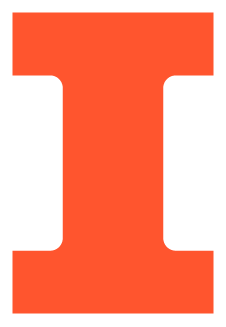 Transfer students must in addition, by the end of the term before graduation, have earned at least 40 hours at the UIUC and have cumulative UIUC grade-point averages as high as the lowest ones listed for Bronze Table students who completed all their work at UIUC. The names of undergraduates who have achieved a grade point average in the top 20 percent of their college class for a given semester will be included on a list prepared for the dean of the college. To be eligible for Dean's List recognition, students must successfully complete at least 12 academic semester hours taken for a letter grade. Students who are registered with the Center for Wounded Veterans (CWV) or with Disability Resources and Educational Services (DRES) who are enrolled in less than 12 but a minimum of nine graded academic semester hours who are in the top 20 percent of their college are also eligible. Such students must sign a release with CWV or DRES indicating their consent for consideration for Dean's List eligibility and have submitted to their home unit's academic affairs office no later than Reading Day in the semester in which they wish to be considered for Dean's List. These consent forms are valid only for the semester in which they are issued, and students must submit by the deadline updated consent forms for each semester in which they wish to be considered for Dean's List. Courses must be taken for a letter grade (A-F). Credits earned during the semester through proficiency examinations or for courses taken as Credit/No Credit or Satisfactory/Unsatisfactory are not counted. The national honor society of Phi Kappa Phi recognizes and encourages superior scholarship in all academic disciplines. To be eligible, a junior (72 to 89 letter-graded hours) must have a minimum cumulative grade-point average of 3.75 and a scholastic rank in the upper 5 percent of the junior class; seniors (90 or more letter-graded hours) must have a minimum cumulative grade-point average of 3.5 and a scholastic rank in the upper ten percent of the senior class. Invitations are mailed to all eligible juniors and seniors and an initiation program is held near the end of each semester.